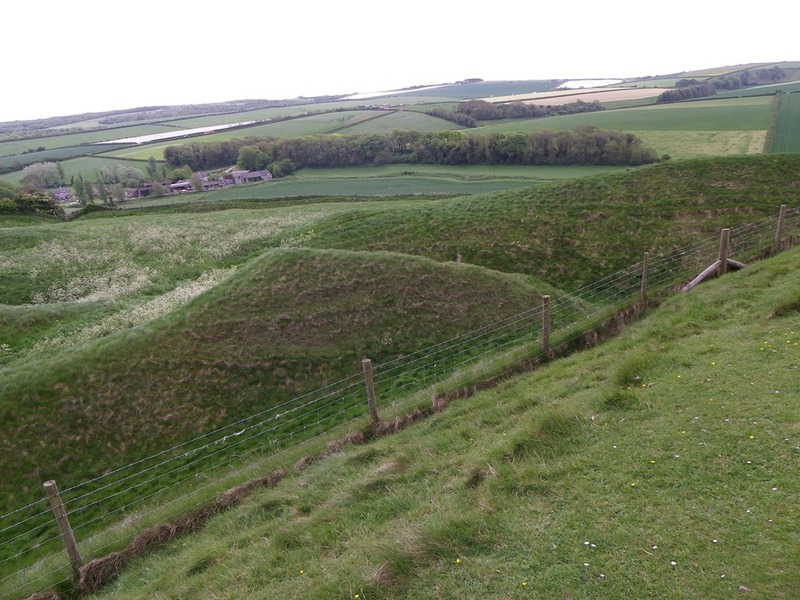 On one of our recent trips to Dorchester Market, my wife and I planned to follow our shopping spree on a trip to nearby Maiden Castle. My wife and I first fortified ourselves with a delicious real Cornish Pasty from the Celtic Kitchen in Antelope Walk. The pasties from this shop are made in Helston, Cornwall and shipped fresh to Dorchester on a daily basis. They are amongst the best and tastiest pasties I have come across. A visit to the Celtic Kitchen is one treat my wife look forward to with great relish. 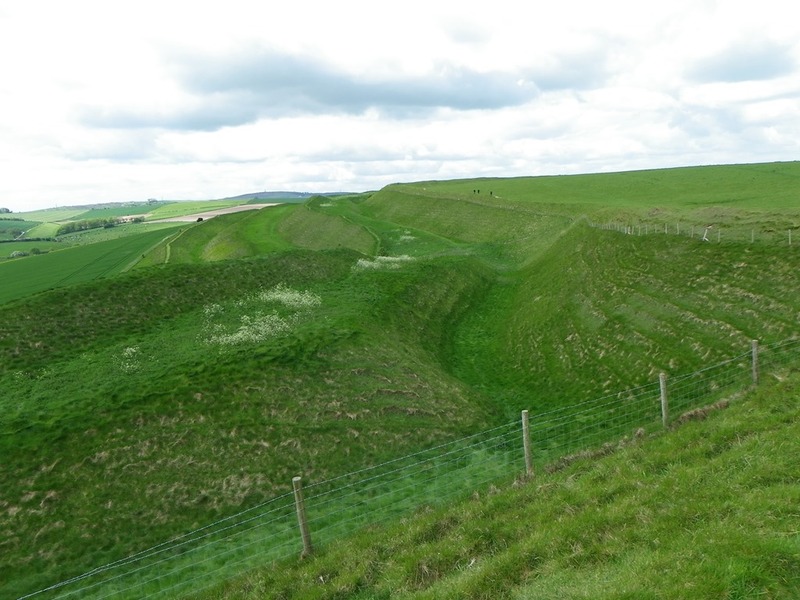 Maiden Castle now owned by English Heritage is free to visit. 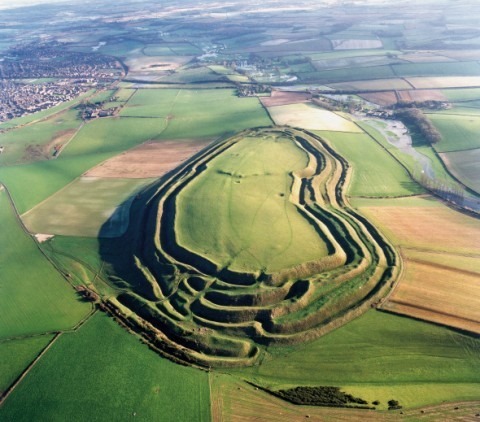 It is one the largest Iron Age hillforts in Europe and the largest in the U.K.. Evidence of human activity on the site has been found dating back to about 1,800 BC during the Bronze Age with defensive landscaping beginning about 600 BC in the Iron Age, Work continued on and off landscaping the embankments during the following centuries. In keeping with many hillforts which were built in good defensive position, the Romans during their occupation evicted the inhabitants and used them to aid their own governance of the country. 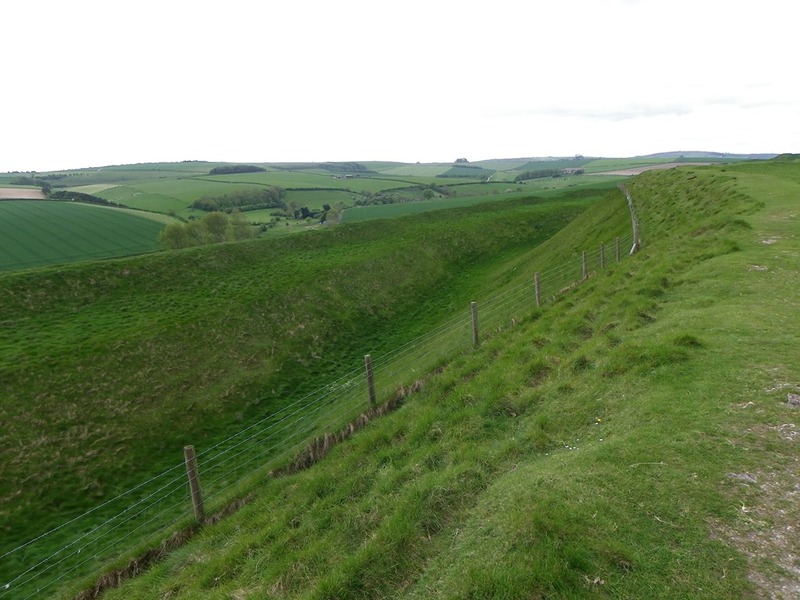 The Romans also founded nearby Durnovaria which later evolved into modern Dorchester, the County Town of Dorset. The enclosed area at the top is some 19 hectares in size which is more than enough space to house a large army and accompanying settlement. Dorchester is steeped with the history of Thomas Hardy and readers may recall the 1967 film adaption of his novel “Far from the Madding Crowd” in which Maiden Castle was used as a film location. The film starred Julie Christie, Alan Bates and Terence Stamp in the leading roles. 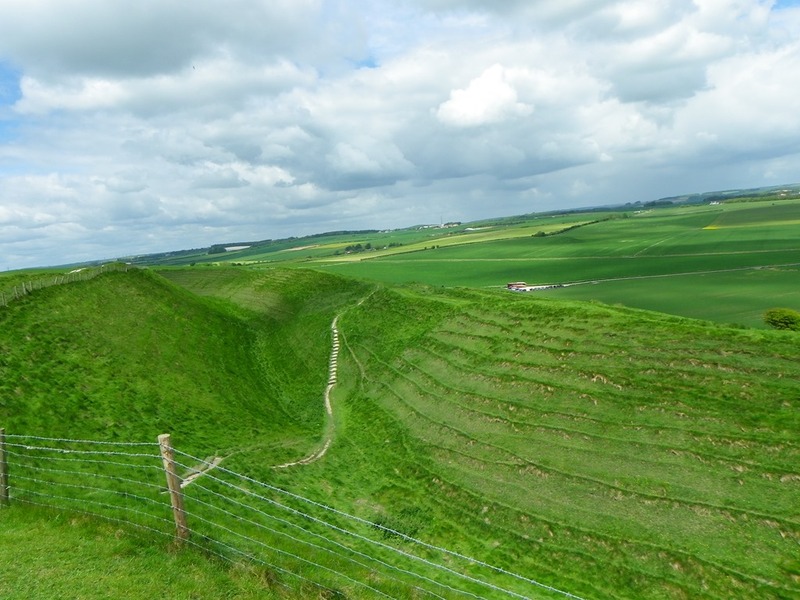 I can well recommend a visit to Maiden Castle even if to soak up the atmosphere of the place and with Summer holidays fast approaching, it is well worth any holiday maker in the area placing this on their itinerary. I have added some view of Maiden Castle and its fortified embankments below.